Ready-to-use great tasting smooth Buttercream in PINK. 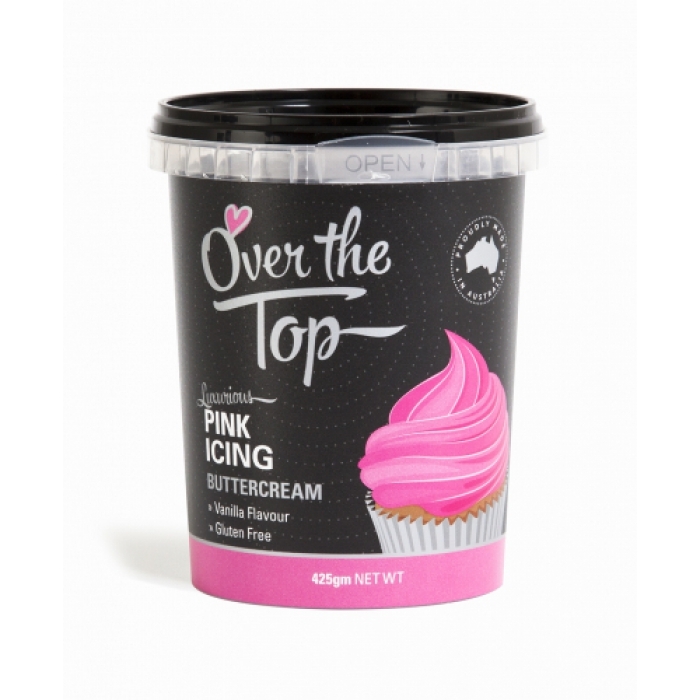 Great for icing and decorating, just open and start decorating! For best results, mix the icing on low for a few minutes before use. This buttercream icing can also be used straight from the tub. Cake Box - White 12" x 12" x 6"